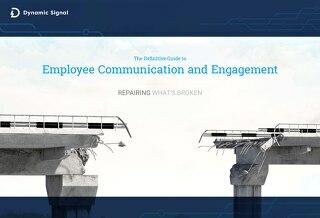 Dynamic Signal explores how Employee Communication and Engagement has become a crucial element in how HR professionals maximize the value of every worker. A new Dynamic Signal study finds U.S. Workforce stressed and ready to quit, compounding concerns from tight labor market and possible economic downturn. New impact study finds that companies see a wide range of benefits across their businesses when using the Dynamic Signal platform to activate their workforces. In this new Frost & Sullivan report, the firm uncovers why it is critical for organizations to connect, engage, and activate employees in order to drive engagement through digital transformation. Nobody trusts your brand – or any brand. But people still trust people. That's why Employee Advocacy is a critically important tool for building trust in your organization. 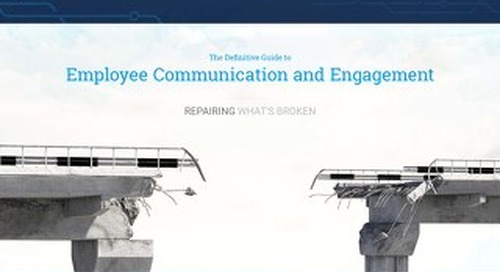 Speaking Millennial: Employee Communication for a Changing Workforce,” a new guide from Dynamic Signal, looks at why organizations need to reconsider how they connect with younger workers. 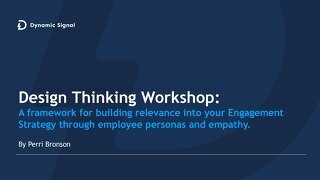 Dynamic Signal has created an easy, step-by-step guide for developing employee personas that can help ensure you’re delivering the kinds of content your workforce wants and expects. 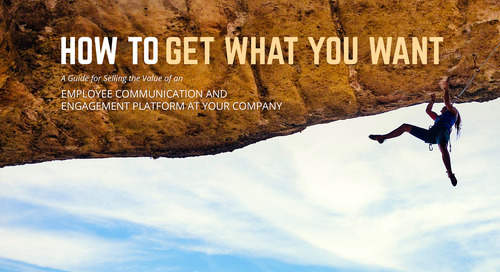 Hands-on examples and best practices about how companies can drive high adoption rates for their Employee Communication and Engagement Platform – at the initial launch and for ongoing success. How to launch, scale and measure an Employee Advocacy program at enterprise scale. HR professionals have the power to revolutionize communication in the workplace by using effective strategies paired with an employee communication and engagement platform. 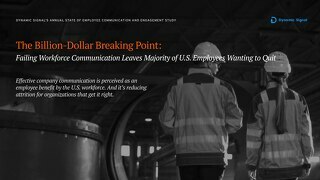 The first annual State of Workplace Communications report reveals that companies struggle to reach employees in today’s disconnected, distributed workforce.